This little guy seems to need a good amount of attention. These bits of rubber everywhere in the engine bay were a sign of an overworked accessory belt. A little bit of Royal Purple Max-Clean should help keep our fuel system in good shape. A strange problem we noticed recently: With the headlights on and the revs up, the accessory belt came off. 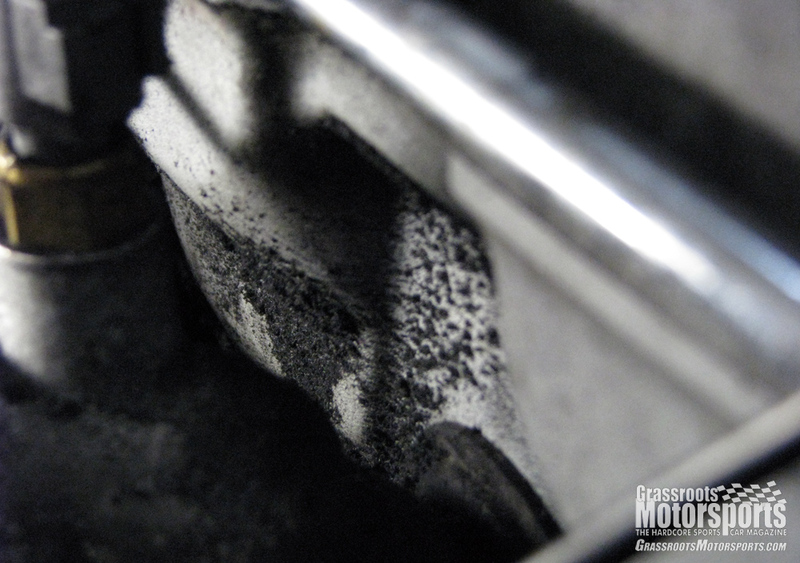 That V belt was also being ate up, as evidenced by powdered rubber in the engine bay. So we installed a new alternator. 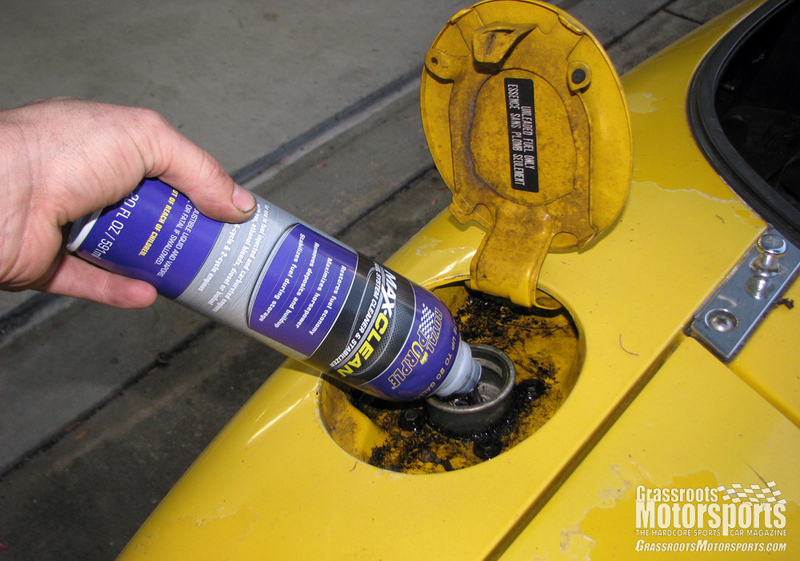 While there, we also poured some Royal Purple Max-Clean in the gas tank. 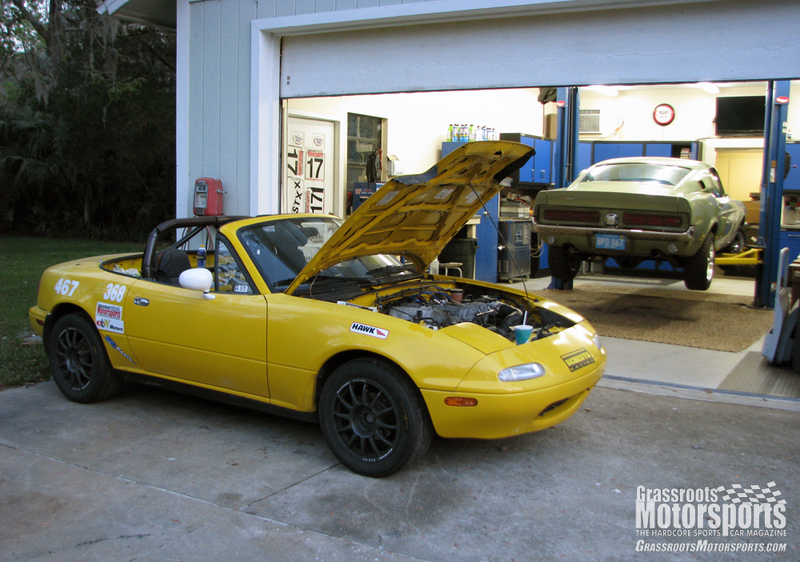 We put in new injectors and a new fuel pump, and also spent a good amount of time cleaning out the gas tank—but we didn’t completely remove it and flush it out. The varnish goo that came out of it after the fuel sat for 6 years was not confidence-inspiring, so we figured we’d remove any remnants of that stuff with a high-powered fuel system cleaner. This, hopefully, will do the trick.